Book News: Netflix To Film Series From Lemony Snicket's 'Unfortunate Events' : The Two-Way The streaming service reportedly plans to adapt A Series of Unfortunate Events into a TV show. In news of another stream, the Globe Theatre has put dozens of its Shakespeare productions online. 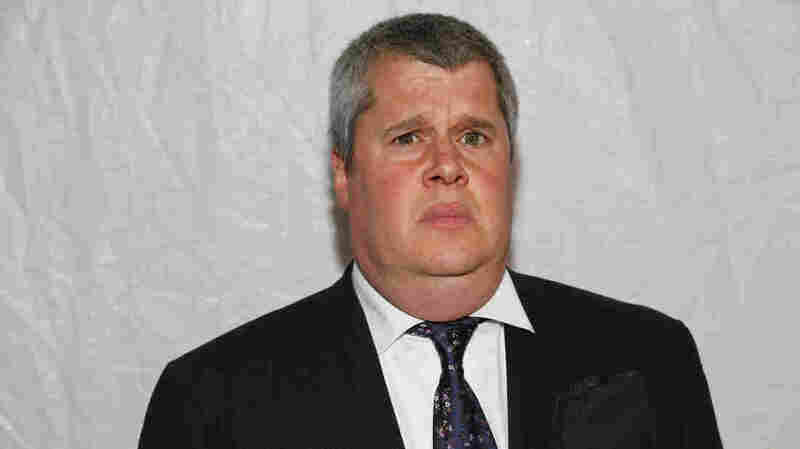 Daniel Handler, the man "often mistaken" for Lemony Snicket, will nevertheless have a hand in the development of the show. Everyone, it's probably best to sit for this. In a decision that even Lemony Snicket himself is saying he "can't believe," Netflix is deliberately wading into the dreary and depressing tale of the orphaned Baudelaire children. Deadline Hollywood broke the bad news to the world. Together with Paramount Television, the video-streaming giant has picked up the rights to Snicket's children's book franchise A Series of Unfortunate Events, with intentions to turn it into a live-action show. The series will follow Netflix's other successful forays into original entertainment, including House of Cards and Orange Is the New Black, and marks the service's second step into family-oriented material. Netflix recently acquired rights to adapt Richie Rich, as well. Of course, it's writer Daniel Handler who's behind pen name Snicket and the series' 13 books, despite that protests he's "often mistaken" for their author. In a brief email thread with Buzzfeed, Handler noted he'll be collaborating with Netflix on the adaptation. "Right now we're all working closely to find the right director so that it might be developed accordingly," Handler said. "Hey, interesting directors, stop reading BuzzFeed and call us!" To Click, Perchance To Stream: London's Globe Theatre has raised the curtain on the Globe Player, a new streaming service whereby dozens of Shakespeare productions are now available to watch online. These shows, filmed in performance at the theater itself, include not only the standbys, but recent foreign-language adaptations. The performances won't come free, though: they'll cost around $6 for a weeklong rental, and around $13 to buy. Salvayre Nabs Prix Goncourt: Author and former psychiatrist Lydie Salvayre earned France's top literary prize, the Prix Goncourt, for her novel Pas Pleurer. The book, whose title translates to "Don't Cry," follows a Catholic writer and Salvayre's own mother as they cope with the opening of the Spanish Civil War in 1936. Though fiction, Salvayre's work traces origins to the history of her own family, which was exiled to southern France during the war by Francisco Franco's regime. And that history remained alive even in the language of the book itself, a mix of Spanish and French. Bernard Pivot, president of the academy behind the prize, wryly remarked: "We wanted to crown a novel of great literary quality and a book of very original writing, even if I regret there was sometimes a little too much Spanish [in it]." A Room Of His Own: Karl Ove Knausgaard sat with Kyle Buckley of Penguin Random House for a lengthy interview. Much of the conversation dwelled on Knausgaard's six-volume My Struggle, a book he's taken to calling, simply, "the novel." "I feel the novel is very much like a room, or rooms: that you're in this room or that room, and that the whole aim of writing is to create a room where you can say something," Knausgaard says. "And that's what writing is about. You have to build up a place where it's possible to say something." Laurels In The Eire: The Arts Council of Ireland is set to launch a new post in January: the Laureate for Irish Fiction. The writer eventually selected for the position will serve a three-year term to promote promoting reading and writing in events across the country. Among the many nominees still in the running are several writers who've enjoyed trans-Atlantic success, including Colum McCann, Roddy Doyle and Eimear McBride. The council expects to make its final decision before Christmas.